I don't own a lot of jewellery both costume or expensive pieces as it's not something i wear a lot of except for nights out or special occasions. However, the pieces i do like to wear are very simple, dainty and quirky. 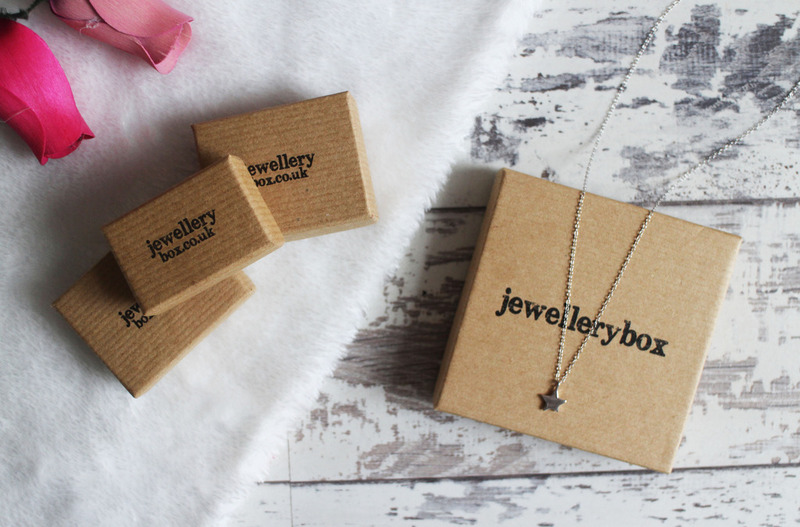 I was recently contacted by the lovely people from Jewellerybox.co.uk - before I'd even looked at the website, i was genuinely going to turn it down because i just assumed it wasn't going to be jewellery that I'd wear but i decided to have a look at the site anyways and oh my god, it is filled with all the style of jewellery that i absolutely love and they very kindly sent a few pieces over for me to try and to show you. Can i just point that i never realised just how difficult it is to photograph jewellery! People who regularly photograph jewellery and make it look so good - How?! Serious, kudos to you! 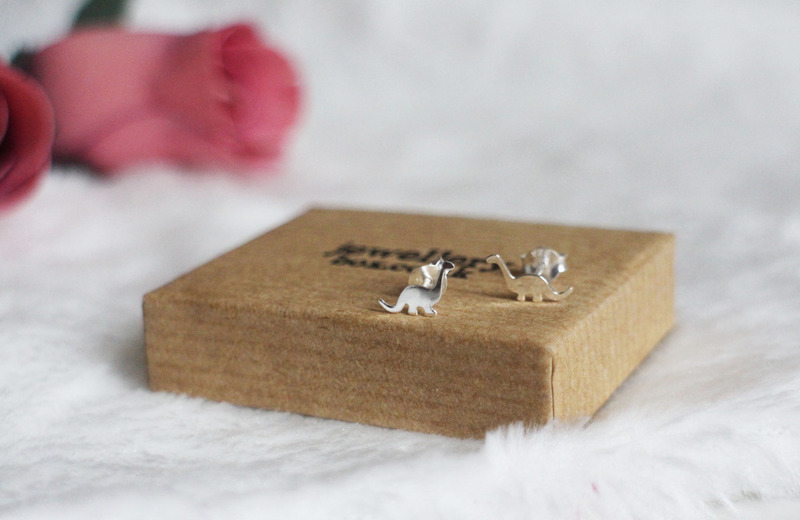 The first thing i came across was these Sterling Silver Diplodocus Dinosaur Earrings* (£6.05) and i just love them! They're so cute and simple and if i could have only picked one item from the entire website it would have been these. They are a lot smaller than i expected but i actually love that because they are so subtle yet quirky at the same time. They also have a matching necklace. 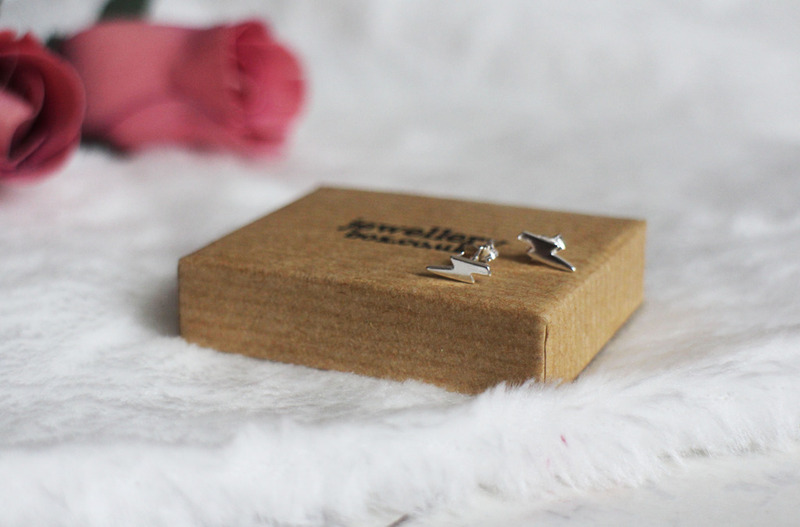 I also chose these Sterling Silver Lightning Bolt Stud Earrings* (£4.25) - i was slightly inspired by Harry Potter when i choose these as that is instantly what they reminded me of. Again, i just love how simple these are! 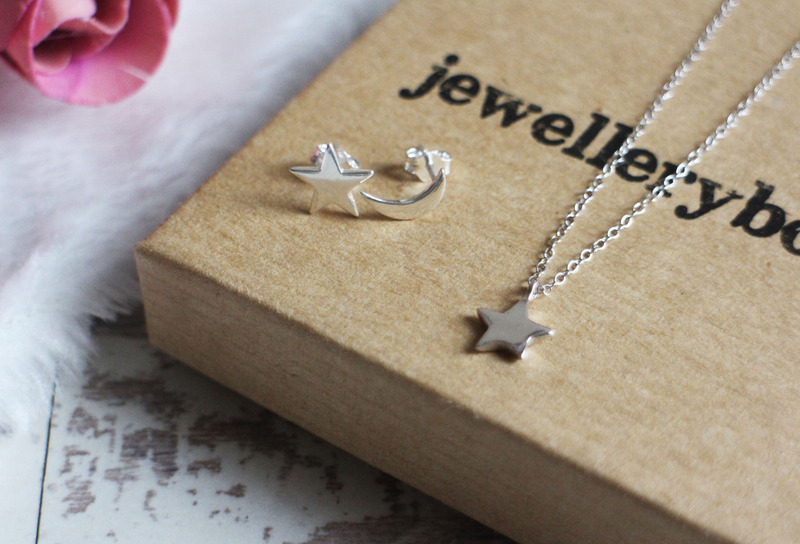 The last pair of earrings i got are these Sterling Silver Star & Moon Stud Earrings* (£4.85) - i really like that these are mismatched but yet they fit together so perfectly (if that makes sense) and i just think they're really pretty. 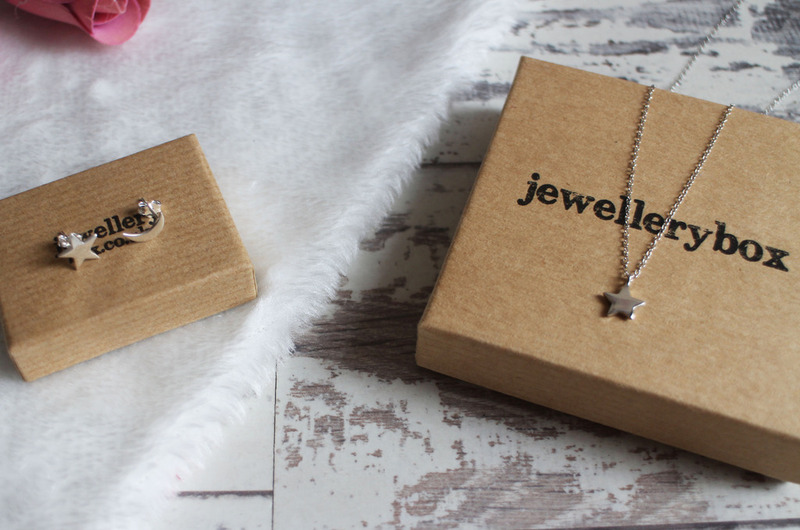 I purposely chose the Sterling Silver Star Pendant Necklace* (£5.35) to match the earrings too, i really like stars and this necklace is just so simple yet so stunning. 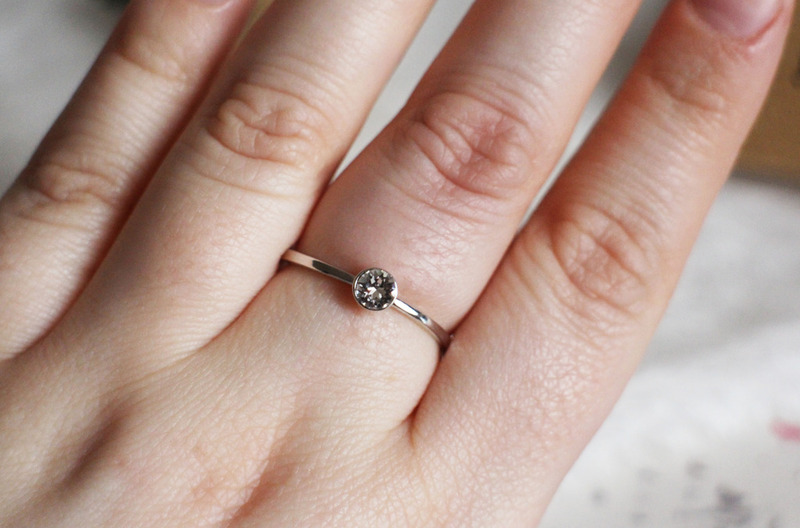 The last item i chose was the Sterling Silver and Clear CZ Crystal April Adjustable Birthstone Ring* (£6.55) i have quite chunky fingers so i love that this is adjustable, it was really easy to adjust (i find some adjustable rings break really easily) it didn't snap nor did it feel like it was about to and i managed to adjust it really easy to fit my sausage fingers. 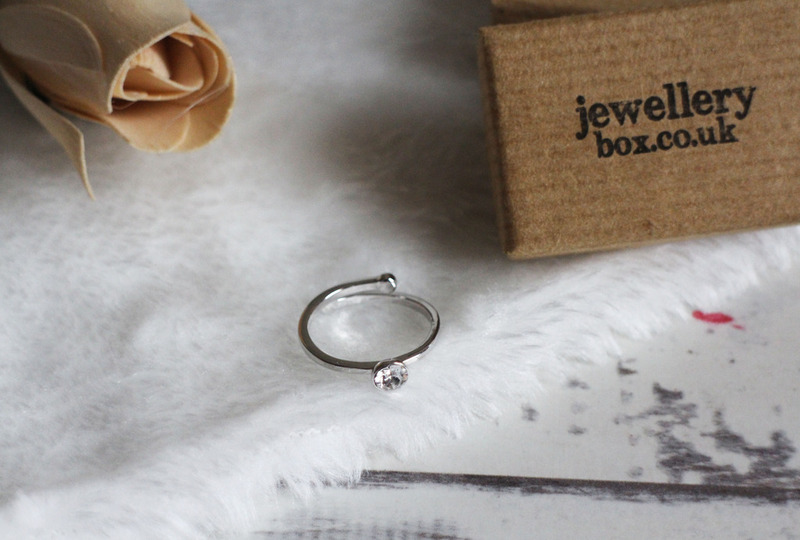 Again, i love simple rings and this is so pretty and dainty and i love that it's my birthstone. This ring with go with all of the other items i got and i just feel like i can't explain how much i love all of these pieces. I'm absolutely made up with them and to be honest the entire website is filled with the most stunning, simple and dainty pieces - it was honestly so hard to just pick a few items because there are so many stunning pieces and they're all my favourite style of jewellery - simple. It's very affordable, good quality and you can also get others metals like gold and rose gold, i just picked silver because that's my preference. 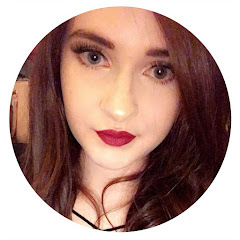 I feel like I'm going to get a lot of wear out of all these items (I'm wearing the star and mood studs as i type this) and there is also a few pieces I've spotted on the website that I'm thinking of buying as presents for people.